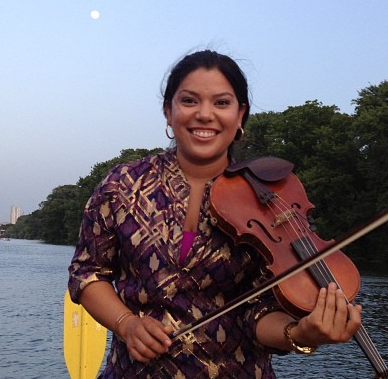 Texas Rowing Center — Latino Moonlight Serenades! Join us for one of Austin’s best events as we float on kayaks, canoes, and stand-up paddle boards (SUPs) to a quiet area on the lake to enjoy live Latino serenades by local musicians. You may also dance on the musician’s barge! Feel free to bring your own food and non-alcoholic drinks. It’s a charming event on full-moon night with the view of downtown Austin, TX. This event is kid-friendly and dog-friendly. The cost is $15 per person for kayaks and canoes, and $12 per person for SUPs. Advanced reservations must be made by credit card using the PayPal option below to ensure the boat of your choice. Walk-ups are welcome and will be provided available boats on a first-come, first-served basis. Weather permitting, the 2019 Latino Moonlight Serenades will begin checkin for participants at 6:15PM and launch promptly at 7:00PM on the dates below. Late arriving guests may join the event in progress. In the case of rainouts, you will automatically be registered for the following month. Please email info@texasrowingcenter.com if you have any questions.